For many tent companies, the industry is completely seasonal. This means that there is a lot of work during the warmer months of April through October, but business slows down immensely as the Canadian winter descends upon us. This is also the case for the construction and concrete industries, who have to shut down over the cold winter months. At Regal, we identified this issue for seasonal companies and decided to tackle it head on by creating tents that can be heated and used throughout the “down season” aka winter! 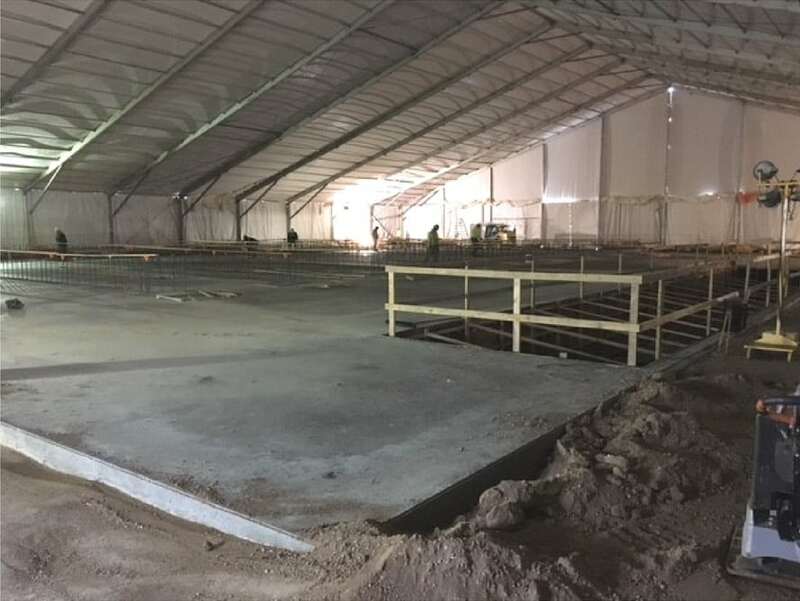 The beauty of being able to work under one of our tents (which can span 200′ wide and as long as you need them in 16′ increments) is that your building season doesn’t need to pause or wait to start until the snow melts or the ground thaws! 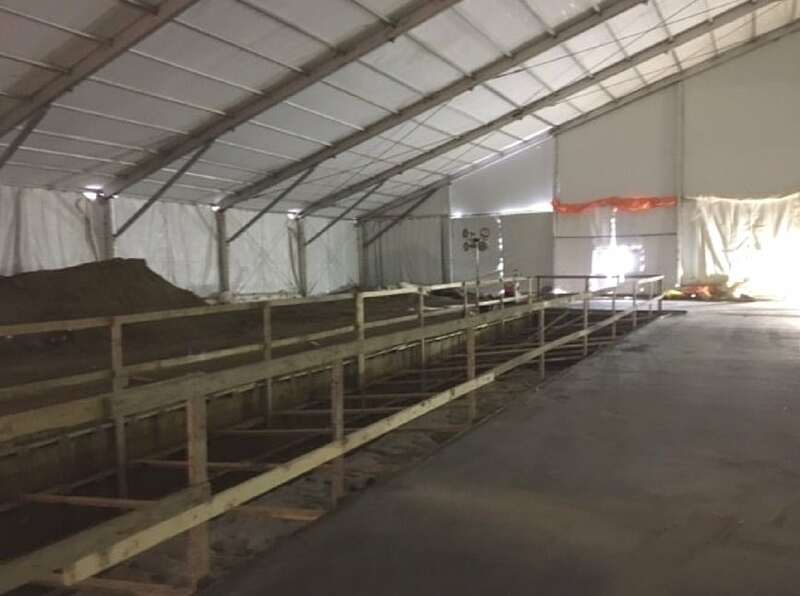 As just done in Yorkton, Saskatchewan last month, we can install a large scale temporary structure and use ground heaters to thaw everything inside, so you can pour a concrete foundation. This means getting a three month + head start on building your project, which means it’s completed more quickly, and ready for occupation ahead of schedule. Depending on the side leg height of the structure we install for you (which can range from 8′ to 25′ high), you can even start building the first storey of your project underneath the tent! The options are truly endless. If you’re considering winter work, or want to learn more about how you can utilize our services to take your business from seasonal to year round, please reach out to us by clicking here! 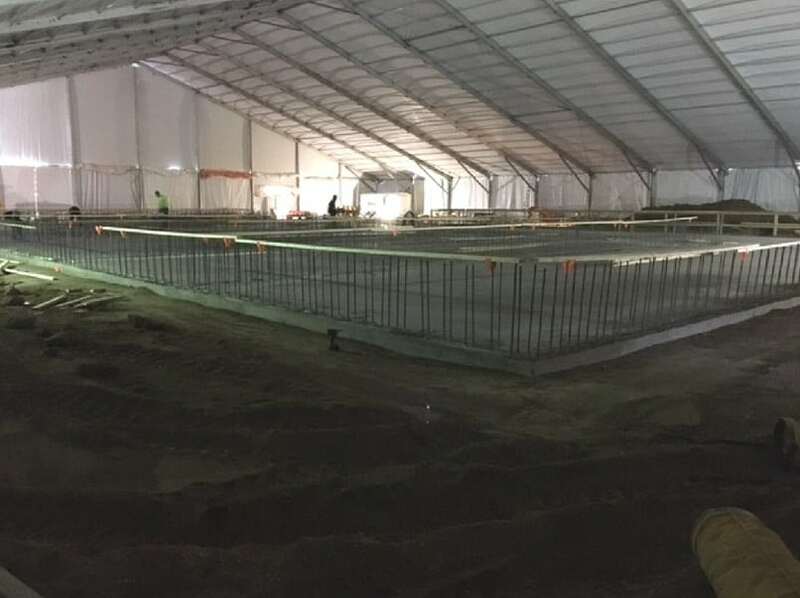 We are offering education seminars to companies who want to learn more about how to work under a tent, what it costs you to have us install a temporary structure, and what the limitations are when working underneath a covered structure. We’re here to help, educate, and take your business to the next level!